"Unless you are born again, you cannot see the Kingdom of God." Jesus is not speaking about going to a place called heaven here. He replied, “You are permitted to understand the secrets of the Kingdom of Heaven, but others are not. To those who listen to my teaching, more understanding will be given, and they will have an abundance of knowledge. But for those who are not listening, even what little understanding they have will be taken away from them." You can walk around in the Kingdom of Heaven here on earth! No kidding. You can see, things from Jesus' perspective. In a heavenly perspective that others can't see! You live as a reflection of Jesus here on earth to help others come to the Kingdom of Heaven. 27 John replied, “No one can receive anything unless God gives it from heaven. 28 You yourselves know how plainly I told you, ‘I am not the Messiah. I am only here to prepare the way for him.’ 29 It is the bridegroom who marries the bride, and the bridegroom’s friend is simply glad to stand with him and hear his vows. Therefore, I am filled with joy at his success. 30 He must become greater and greater, and I must become less and less. Everything you are given is a gift from God. When you repent and are reborn in the Spirit then you receive the Holy Spirit. And you have to remain in the Spirit becoming more and more like Jesus, never to go back to your old habits. 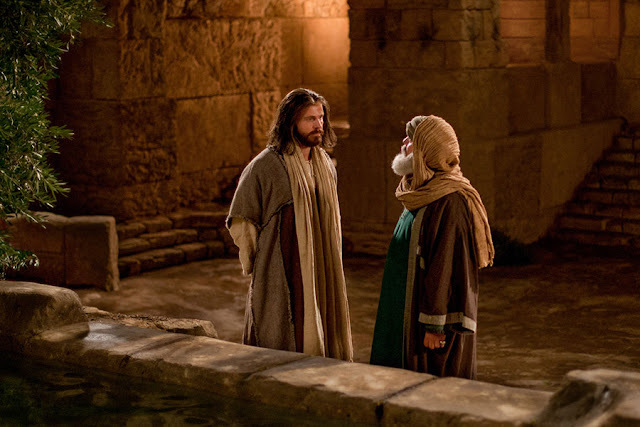 Then Jesus stood up again and said to the woman, "Where are your accusers? Didn't even one of them condemn you? There are several good visual bibles and movies for you to watch the scripture. To sin no more..no tall order there huh? I think striving to live more like Jesus is a daily decision that we have to recommit to all the time. When one of my children says something out of sorts I ask them if Jesus would say the same thing. I know I should ask myself this more often too and speak with kinder words sometimes. Thanks for sharing.